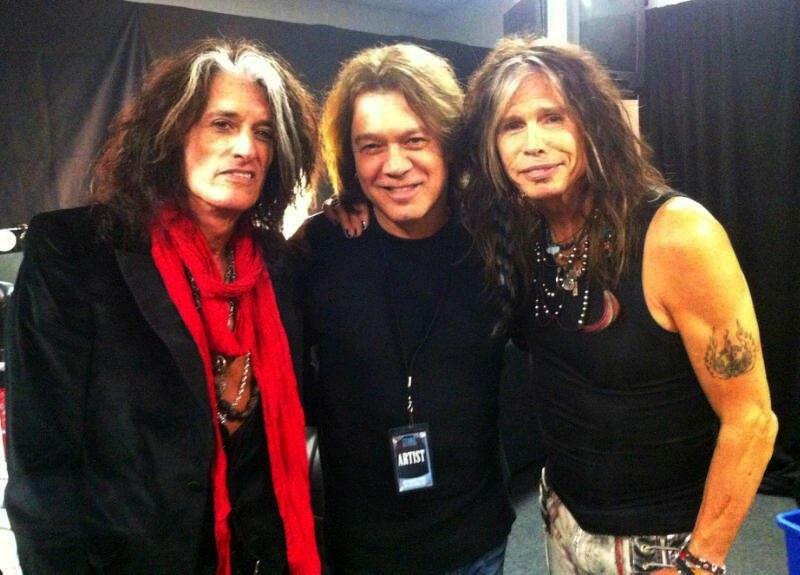 Eddie Van Halen is sharing a backstage photo taken with Aerosmith’s Steven Tyler and Joe Perry at the Stone Music Festival in Sydney, Australia on Saturday. "We loved Van Halen in the beginning but they got so big so fast that we offset each other on tour and we never saw them,” said Tyler at a festival press conference earlier in the week. “We've been following them ever since and I'm always honoured to see them backstage. Every time I look into their eyes I see a camaraderie that knocks me over so I love those guys." Check out Van Halen’s setlist and videos from their Stone Music Festival performance here.